If you haven't stopped by PrairieMod.com, it's definitely worth a visit for anyone with an interest in architecture and design of the 20th century. Articles, podcasts and blog posts are based on principles that embody the art of modern living and highlight the philosophies embraced by the figures who defined modern design. 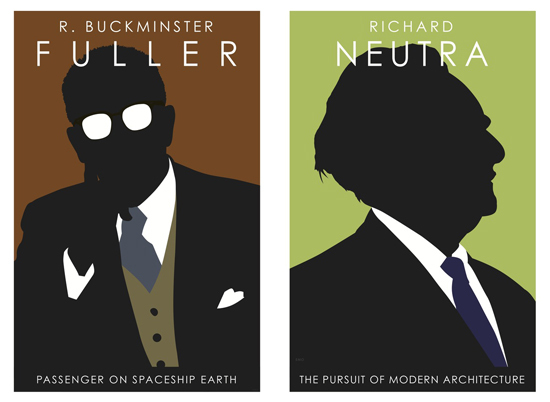 A number of these principles are reflected in the minimal text at the illustrations themselves, capturing the essence of the ideology of each featured architect. With personalities as big as the iconic structures they created, American Modernism was shaped by the "starchitects" that had the vision to build the future. 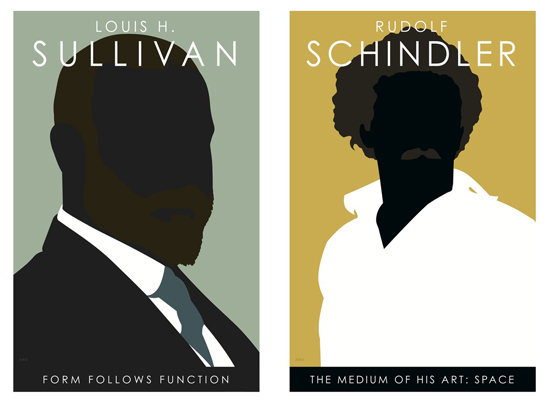 Stylistically silhouetted against a backdrop of vibrant color and accompanied by one of their well-known maxims, these high-quality, ready-to-frame fine art prints will make the perfect gift for any fan of architecture and design. Click on the image above for a link to the PrairieMod store, or view the entire collection here.